Construction Update. In March 2016, a BDS satellite was launched into an inclined geo-synchronous orbit (IGSO); another geosynchronous orbit (GEO) satellite was launched in June. These became the 22nd and 23rd BDS satellites overall and further enhanced service capability. The BDS has been maintaining stable operation, and the performance of BDS Open Services has steadily improved. The availability and continuity surpass 99.9%, which can satisfy the nominal requirements of 95% and 99.5%. The deployment of a BDS global constellation has progressed steadily. 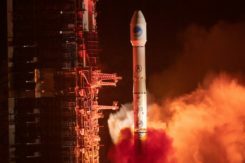 Five new-generation BDS satellites have been successfully launched so far, to verify advanced signal structure, crosslink, on-board clocks with higher accuracy, and other new technologies. Test results showed that the inter-system technical status is coordinated, the accuracy of orbit prediction was increased by 50%, and accuracy of time maintenance was upgraded by about 60% due to crosslink. Meanwhile, the construction of augmentation systems is being accelerated. A nationwide reference station network has been built, and the construction of the basic system has been completed. System performance is under test, including meter and decimeter level for wide-area real-time services, centimeter level for areas within Beijing, and millimeter level for post-processing services. As for satellite-based augmentation system (SBAS), BDS is actively participating in the design and international coordination activities for the next generation dual-frequency multiple-constellation (DFMC) SBAS standards. The 30th SBAS Interoperability Working Group (IWG) meeting was successfully held in China. The document “Development of BDS and Applications of Multi-Frequency Multi-Constellation Navigation Satellite Systems” was submitted by the Civil Aviation Administration of China (CAAC) during the 39th meeting of International Civil Aviation Organization. This represents Chinese civil aviation authority’s official support of construction of BDSBAS. Development of applications of multi-frequency multi-constellation has been proposed to the international civil aviation community. BDS Applications. With the enhancement of BDS service capability, its applications are also making remarkable progress, already producing a BDS industrial chain which comprises the basic products, application terminals, application systems and operational services. BDS-based chips have been upgraded in quality and quantity. Great efforts are being made to carry out demonstrations of BDS industrial and regional applications. Mass market applications are flourishing. Chinese industrial production in the field of satellite navigation reached 190 billion renminbi yuan (US$28 billion) in 2015, of which BDS would contribute about 30%. So far, BDS-related products have already been exported to more than 70 countries, and applications and services are available in over 30 countries along the Silk Road Economic Belt and 21st-Century Maritime Silk Road (the Belt and Road) region. To provide better services for global users, BDS carries out exchanges and coordination with the other navigation satellite systems in terms of compatibility and interoperability, monitoring and assessment, frequency resource, augmentation systems and other areas. It also strives to implement applications cooperation with countries in the Asia-Pacific region, members in the Association of South-East Asian Nations (ASEAN) and the League of Arab States (LAS), to bring more benefits to a wider range. On multilateral platforms, BDS continuously contributes to efforts and meetings of the International Committee on Global Navigation Satellite Systems (ICG) and the Committee on the Peaceful Uses of Outer Space (COPUOS). In addition to these international academic activities, China has also been organizing the China Satellite Navigation Conference for seven sessions. Fundamental Policies. A whitepaper on BDS released in June 2016 interprets its development concepts and propositions, and is available on the official BDS website. The major content includes: to provide open services for global users free of charge; to continuously improve service performance and enhance the service quality; to promote compatible applications with other navigation satellite systems and to improve users’ benefits; to disseminate BDS information in a timely manner; to protect the radio-navigation satellite frequency spectrum according to law and to firmly reject harmful interference; to enhance BDS applications, industrial development and international application; to actively carry out international cooperation and exchanges, to participate in multilateral activities in the field of international satellite navigation and to promote the ratification of the BDS by international standards. The “BeiDou Navigation Satellite System Signal In Space Interface Control Document” (Version 2.1) was published in November. As for the standardization process, the “BeiDou Satellite Navigation Standard System” (Version 1.0) has been released, and BDS has been included in the Receiver Independent Exchange Format (RINEX, Version 3.03), approved by the Radio Technical Commission for Maritime Services Special Committee 104 on GNSS Service, RTCM SC-104. Follow-up Deployment Plans. In 2017, three to four launches of BeiDou satellites will occur. BDS will provide basic services to the countries along the Belt and Road region by 2018, and possess global service capability by 2020. BDS will keep improving its nationwide reference station network and steadily enhance its service performance. The dense reference stations for the nationwide frame network will be constructed by 2018, providing meter and decimeter level real-time location services for users in China, even centimeter level service in some areas. BDS will carry out the design, validation and construction of SBAS in accordance with international civil aviation standards. The first GEO satellite of BDSBAS will be launched in around 2018. The satellite-based augmentation services covering China and surrounding regions will be provided from 2020, to provide CAT-I services to civil aviation users. 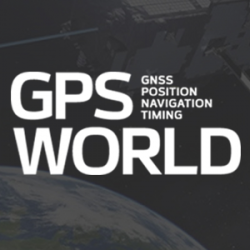 China will promote construction of a national comprehensive positioning, navigation and timing (PNT) system based on BDS, and strive to establish such a national PNT system with a united benchmark, no-gap coverage, security and effectiveness by 2030, as well as to upgrade capabilities to provide time and space information. Summary. BDS will boost the deployment of a global constellation, continuously enhance performance, fulfill its service commitments, make all efforts to advance satellite navigation applications, promote the development of GNSS, and better serve the world and benefit mankind.